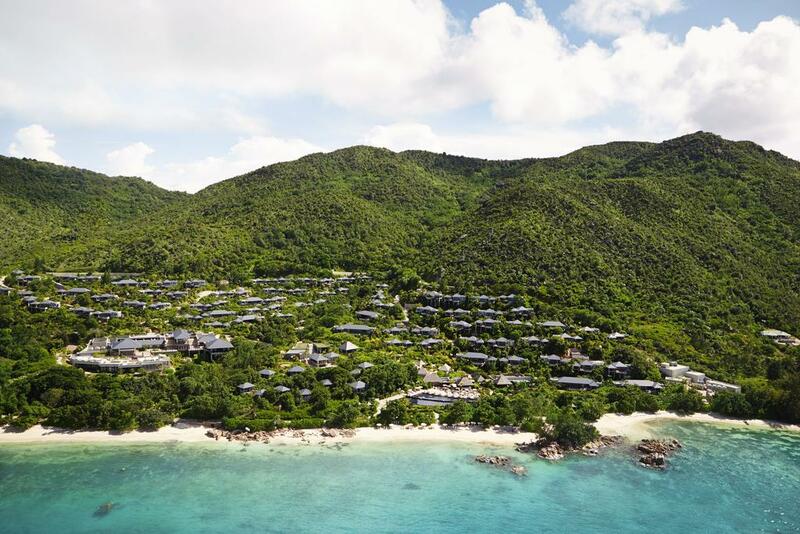 Raffles Seychelles is located on the beautiful north-eastern tip of Praslin, the second largest granite island in the Seychelles. It is easily accessible from Mahe International Airport with only 15 minutes flight. The resort is close to the Vallee de Mai, a UNESCO World Heritage site, and is also a 15-minute ferry ride away from Curieuse Island, home to 500 giant tortoise and La Digue, famous for its secluded beaches, diving and snorkeling. The resort features 86 villas designed in residential contemporary style-each with a private plunge pool and an expansive outdoor pavilion. 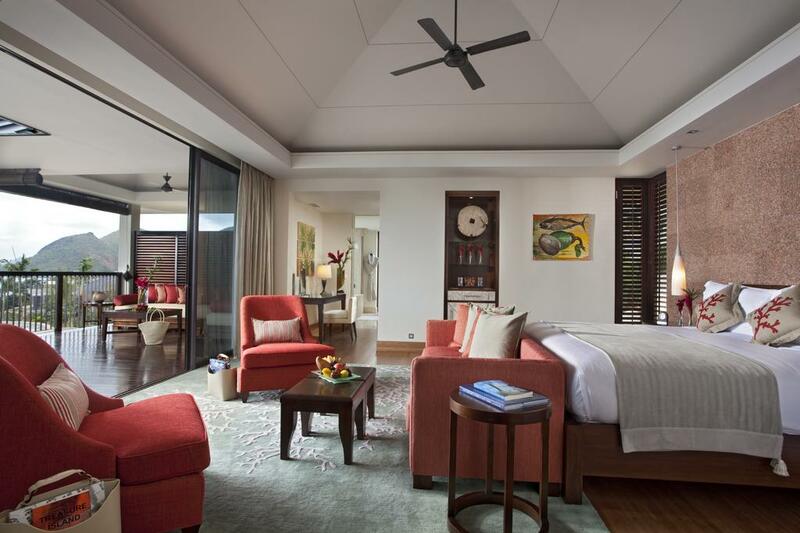 The one and two-bedroom Villa Suites are equipped with a barbecue grill in the outdoor pavilions. 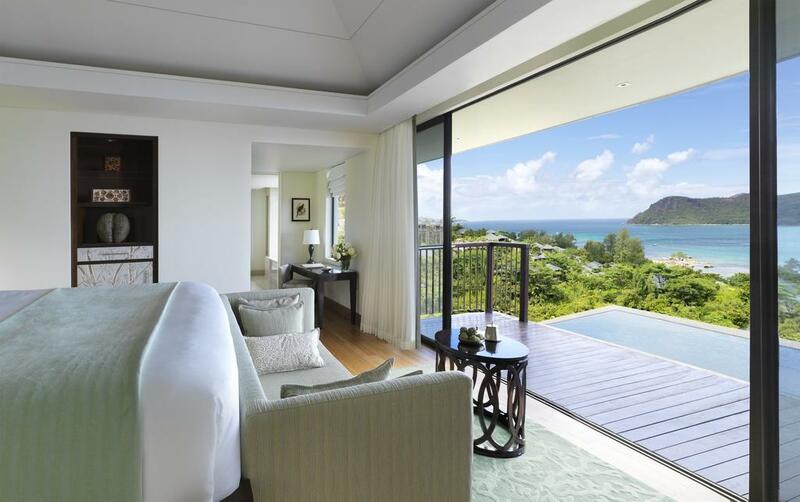 Villas are among some of the most spacious in The Seychelles at a minimum of 125 square meters and built on gentle slopes – thereby offering residents the option of taking relaxing strolls through the resort or transportation via buggy. Asian restaurant offers a gastronomic journey tracing through India, China and South East Asia which is led by Chef de Cuisine Sunil Dutt. 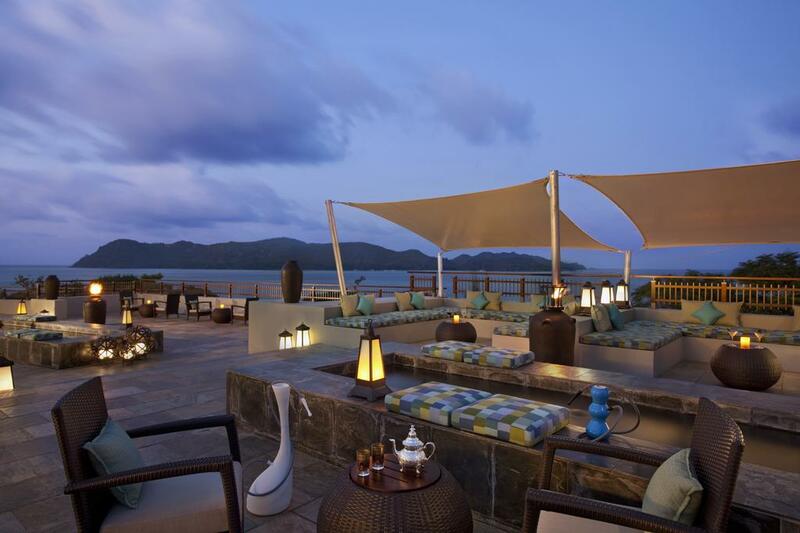 Whilst a rich selection of fine wines, rums, spirits and skillfully-made tropical cocktails is perfectly served at Danzil in a beautiful backdrop of ocean view.